Colin Kaepernick had the game of his life. I thought that 300-300 game the San Francisco 49ers had against the Buffalo Bills during the regular season would have been the biggest offensive explosion the team would have this year. Apparently, the 49ers one-upped themselves Saturday night against the Green Bay Packers in the Divisional round. 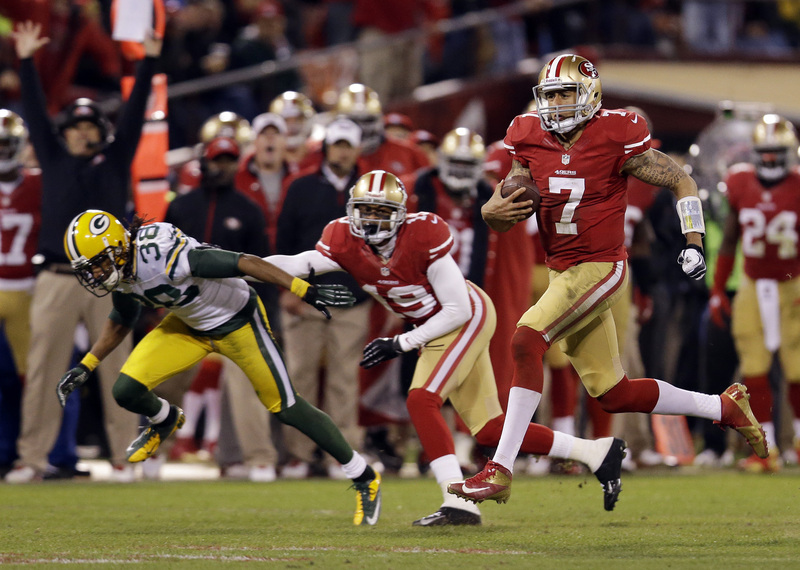 The 49ers defeated the Packers 45-31 in an offensive showing that set some records. Colin Kaepernick ran for 181 yards. That’s an all-time NFL record. The 49ers offense had a team record 579 yards on offense. Kaepernick’s 444 total yards is the most ever for a playoff debut. Michael Crabtree had his first 100-yard receiving game. He also had two touchdowns. First team to two have two 100-yard rushers and a 100-yard receiver in a playoff game. This ended up being a very telling story about the 49ers and it showed us that even though the team didn’t look too consistent down the stretch, the team has more than enough weapons to run with any team. Round 2 of the playoffs! With that said, here are my quick predictions on today’s games. Will the Broncos win the rematch? Ray Lewis’ farewell tour is extended for one more game. Sadly, it looks like that it will end right there. The top-seeded Broncos will host the Ravens and it looks like the best team in the AFC has all the tools to win this one easily. Not only has Peyton Manning returned to play at an MVP level, but he’s also leading a Broncos offense that looked so weak last year into a dangerous weapon. Let’s not forget what the defense is all about too. This Broncos team is very dangerous after having won their last 11 games. 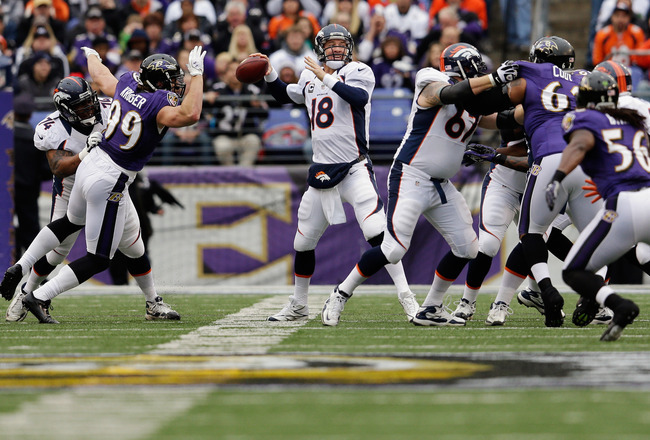 Joe Flacco needs to match Manning to have any chance to win this game. The running game has to help him out as well but this will come down to the quarterback play. The Ravens lost their game against the Broncos during their meeting in the regular season and it appears to be the same result this weekend.